Matthieu Paley is a favourite photographer at Steppe. His work conveys fluidity and an emotional connection with the individuals he captures on film. 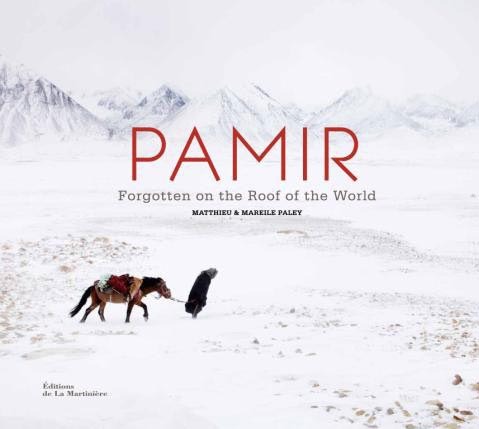 Which is why we are very excited by the publication of his latest book (co-authored by his wife, Mareile, and anthropologist Ted Callahan) on the Pamir Kyrgyz, whom he has been documenting for the last 10 years. Their daily life takes place against the backdrop of the magnificent Wakhan Corridor in northeastern Afghanistan, and visually it is a compelling subject, touched by an ethereal beauty. But the struggle for existence for this small group of people (800 in total) is very real. They live a nomadic existence, caught between closed borders, totally dependent on barter with their neighbours and with extremely limited access to healthcare and education. The book has been published in French and German and they are now looking for an English publisher. If you can’t wait for the English version, visit their website at www.pamirbook.com. And if you’re interested in publishing an English edition, even better…contact Matthieu direct via the website. Below, a few pages to whet your appetite.